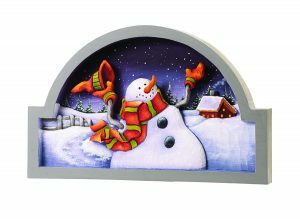 Betty Padden demonstrated how to paint a snowman with acrylic paints in Woodcarving Illustrated Holiday 2014 (Issue 69). In order to paint the carving exactly as Betty did, we’ve provided a downloadable pdf with step-by-step photos of how to carve the snowman along with the snowman pattern. CLICK HERE to download the step-by-step instructions. CLICK HERE to download the Snowman Plaque Pattern. 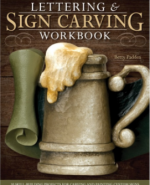 For more information read Betty Padden’s Lettering & Sign Carving Workbook. It gives a contemporary look at a nostalgic craft with updated techniques and a fresh variety of styles for carving and painting a variety of signs for the home, summer cottage, or basement bar. The book is available for $19.95 plus S&H from www.foxchapelpublishing.com. 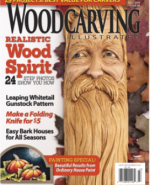 Read more great articles from Woodcarving Illustrated Fall 2014 (Issue 68) here.